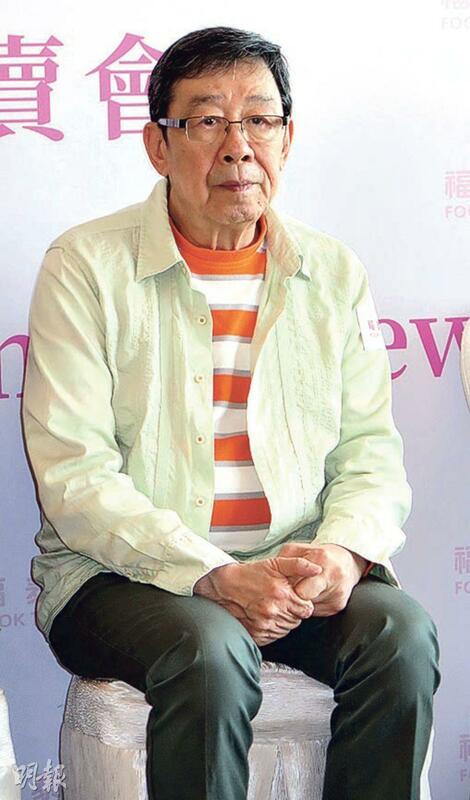 Veteran filmmaker and producer Chan Pui Wah passed away yesterday morning. She always had a smile on her face and thus had great luck with people in the business. When Sister Pui Wa was a TVB artist manager, she even took an ailing Charmaine Sheh to the doctors after an injury on the set. Famous filmmaker, producer and executive producer Chan Pui Wa yesterday passed away from cancer. 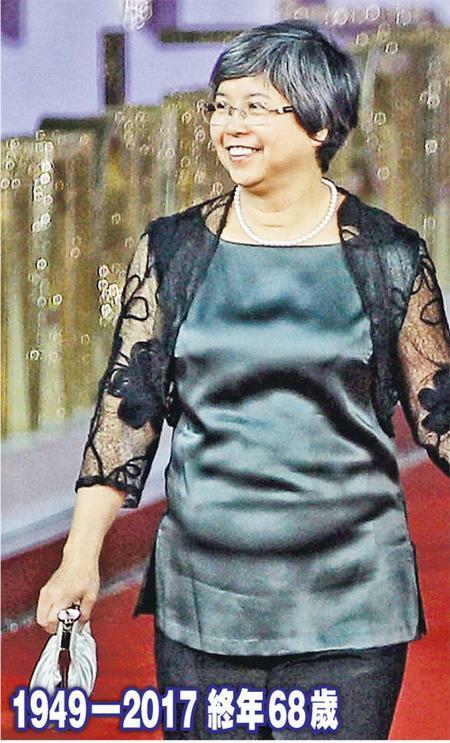 Over the years Sister Pui Wa contributed a lot to the Hong Kong entertainment business. Many industry insiders mourned her passing. Always with a smile on her face, Chan Pui Wah passed away at 7AM yesterday morning due to cancer caused complications. In the 80s she joined Golden Harvest and went from the accounting department to the production department to oversee the numbers due to her outstanding performance. She mainly was responsible for control the film production expenses, budgets, studio scheduling and other tasks. Later she caught Sammo Hung Kam Bo's eye. He negotiated for her to be in management of Bo Ho Films under Golden Harvest. In the 80s she worked as producer, executive producer and other posts on many films. She was able to stand firm in a man's world and produced many films like MR. VAMPIRE (GEUNG SI SIN SUN), HEART OF DRAGON (LUNG DIK SUM), WINNERS AND SINNERS (KEI MAU MIU GAI NG FOK SING), A FISHY STORY (NG TUET MUK DIK YUN), HER FATAL WAYS (BIU JEH NEI HO YEH! ), SAVIOR OF THE SOUL (91 SUN DIU HUP NUI), ASHES OF TIME (DUNG CHE SAI DUK), CHUNG KING EXPRESS (CHUNG HING SUM LUM), A SIMPLE LIFE (TOH JEH) and LOST AND LOVE (SUT GOO). Chan Pui Wa worked with many superstars and directors like Tony Leung Chiu Wai, Jackie Chan, Hung Kam Bo, Yuen Biao, Anita Mui Yim Fong, Leslie Cheung Kwok Wing, Maggie Cheung Man Yuk, Brigitte Lin (Lam Ching Ha), Wong Kar Wai and others and received their trust and rave. In the 90s she worked as a TVB artist department executive and had great relationships with many television artists. Chan Pui Wa later worked as an artist manger at TVB and even managed Lau Tak Wa's film company. She was nicknamed the Imperial Butler. Later after learning that she had lymphoma she began treatment. 3 years ago after her condition stabilized she exercised daily and she must return home before 10 to rest. Because color gradually returned to her face, everyone thought that she was gradually recovering. However recently her condition worsened, as she expressed to her friends that she was preparing mentally for the day when she would become welcome home in Heaven. Her children, grandchildren, church friends and artists friends of many years often kept her company during this final period. 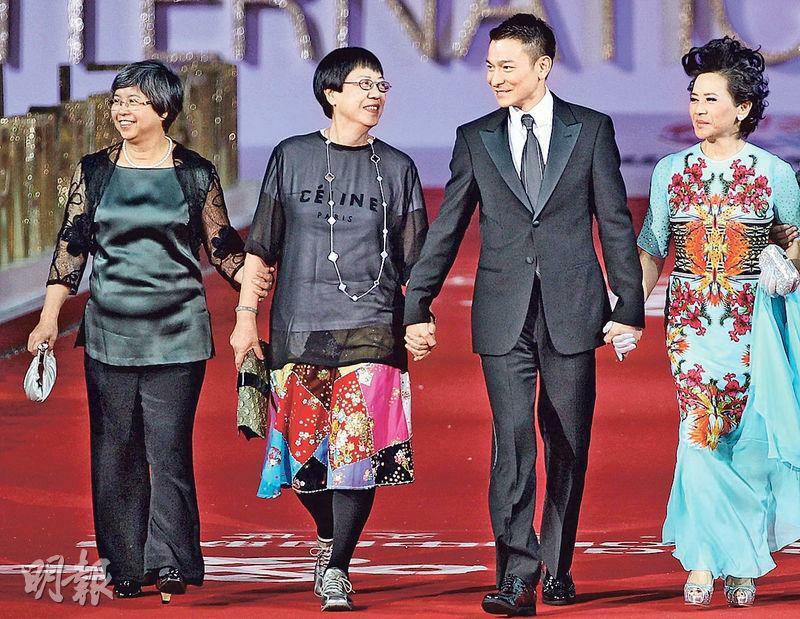 Having worked with Sister Pui Wa on A SIMPLE LIFE (TOH JEH), Andy Lau Tak Wa has known her since the 80s. Wa Jai said, "Soon after I got into the business in the 80s I met an elder. She loved me like family. We worked together for years and took care of each other. Her passing would leave me truly missing her, but I wish her a safe journey and would forever have Sister Pui Wa in my heart." Connie Chan Bo Chu learned from the press about Sister Pui Wa's passing. Her eyes were all red and teary as she spoke. "We have only known each other in the past few years, Big Sister (Fung So Bo) introduced us. Each time I performed Chinese opera she would definitely be there. Earlier I knew that she had stomach problems. Early this year everyone still were in contact, we even chatted. Only lately I have been busy with rehearsal, originally I wanted to invite her to watch Cantonese opera. Unfortunately she is no longer with us." Sonija Kwok Sin Nei said that earlier she did not know Sister Pui Wa's seriously ill, only earlier she suddenly thought of her. That night someone told her that she was in a nursing home. Thus two days ago she went to visit. At the time her family was there as well. Sin Nei said, "When saw Sister Pui Wa, she wasn't very thin and was rather full. She only looked a little pale. In addition she even responded to us. I wished that she would return to home in Heaven, have a safe journey. Her pain has ended!" She also recalled when she was at TVB, once she was hospitalized for stomach illness. Sister Pui Wa visited Sin Nei and even brought delicious baked goods to the hospital. She kept coaxing Sin Nei to eat. At the time she truly felt that she was as nice to her as her own mother. Sheila Chan Suk Lan said that she did not know about Sister Pui Wa's passing. She remembered during her Golden Harvest days they worked together on two movies and praised her for taking care of all the artists like a nanny. 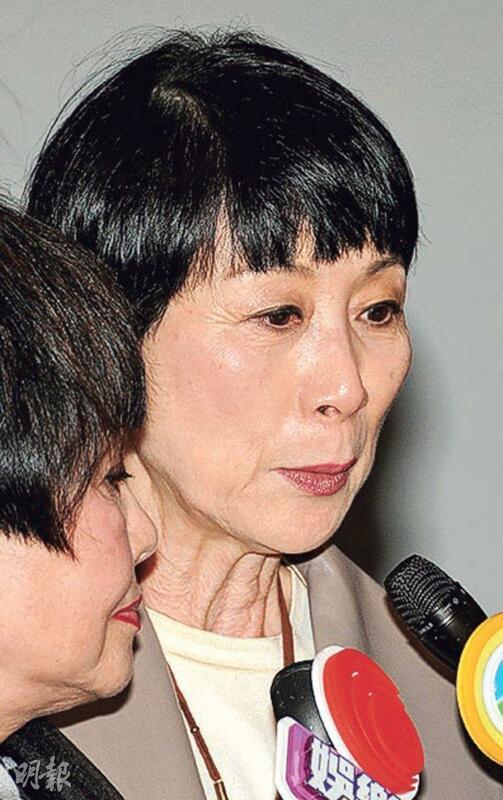 Eva Wong Yu Sze was shocked about Sister Pui Wa's passing. When she joined TVB she also visited her and got to know her job. However they did not have a lot of opportunities to truly spend time together. Ng Yu said that he has known Sister Pui Wa for years and praised her for her outstanding performance at the TVB artist management department. She was very helpful. "Whether with scheduling or casting her arrangements were complete. She was friendly, I have never seen her get mad. The Lord will continue to bless her. May she rest in peace." Elaine Lok Yi Ling said that Sister Pui Wa was 68. She spent over half of her life in film and television. She was friendly and easygoing, hard working, capable and courageous, she also had a lot of positive ideas. Musician Tang Chi Wai announced the news online. He posted that this was the saddest day in his life, describing Sister Pui Wa as his benefactor, his Venerable Tang Monk. She turned him from an originally rebellious youth to have a chance to stand on the stage, taught him about life and remembering where he came from. He played a song for Sister Pui Wa and wished that she may rest in peace. 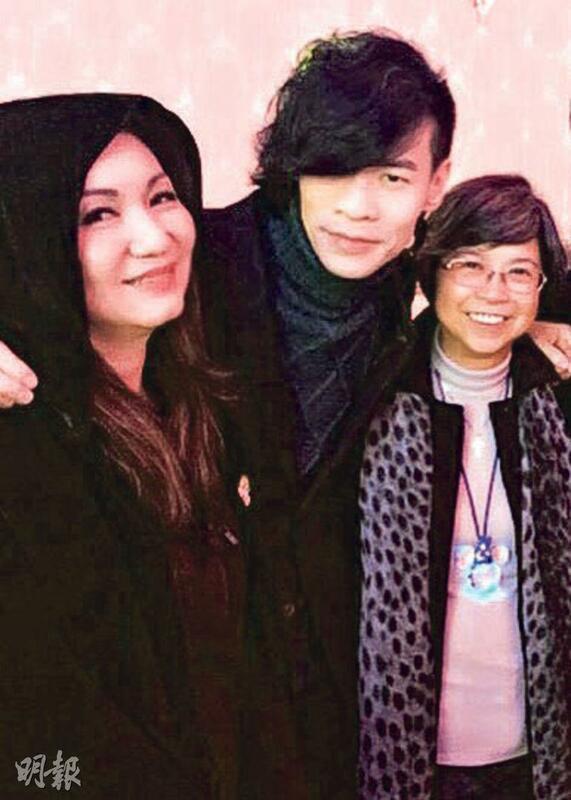 Sammi Cheng Sau Man would miss Sister Pui Wa's kind smile and sincere sharing. She remembered chatting with Sister Pui Wa at Wa Jai's home, which benefit her a lot. Her unwavering belief moved and inspired her. Ada Choi Siu Fun quoted the Bible online. "You turned my wailing into dancing; you removed my sackcloth and clothed me with joy. Psalm 30:11". She posted, "My good friend, I know that you are dancing in the Heavenly home, singing with the joyous white clothes!" Chua Lam mourned his late friend Chan Pui Wa. 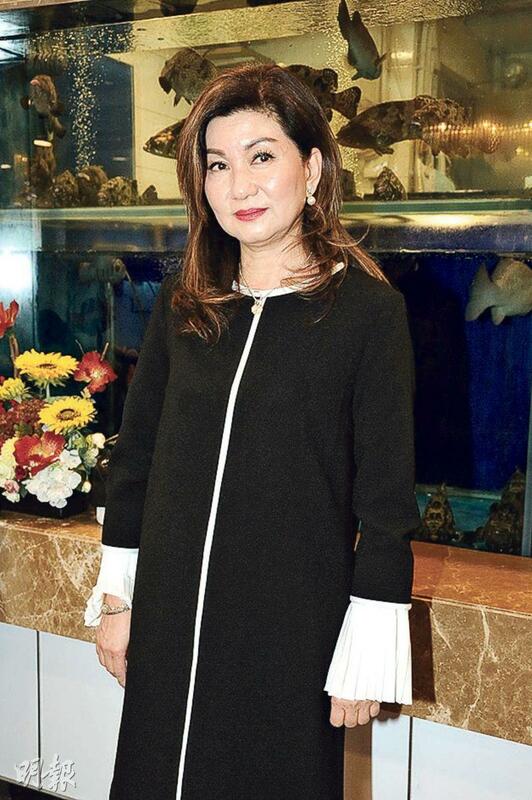 Because she was in the restaurant business in Australia, Chua Lan wrote, "I am about to leave for Melbourne, I thought of when the Hong Kong film golden age passed she once immigrated there. It was like yesterday. Have a safe journey." Wu Fung have known Chan Pui Wa for almost 20 years. Brother Sau said, "Today I even wanted to call her, no wonder no one picked up. She was a very, very good film producer and filmmaker." Brother Sau put his hands together and mourned his late friend. Brother Sau has been in film and television for years, made countless productions and no longer remembered he has worked with Chan Pui Wah. They ran into each other at TVB. He only knew that she produced films for Sammo Hung Kam Bo and worked with Lau Tak Wa on SHOCK WAVE (CHAK DAN JUEN GA). They often had contact. Sister Pui Wa created many legendary films with Wong Kar Wai. Wong Kar Wai responded through Jet Tone, "Have a safe journey, rest in the Lord's embrace!" Kevin Cheng Ka Wing said, "Sister Pui Wa was the nicest person I know, she was a faithful Christian. My condolences to her family!" Sister Pui Wa in a religious publication interview revealed that because she was too busy with work her marriage suffered. Even her daughter was mad at her. Later she returned to the church. The pastor helped her to open the door with the key of love, to beg for her daughter's forgiveness. She expressed regret and lamented, "So what if you made money?" Her children would rather Mama stay at home and cook them a meal. Luckily she was able to fix the relationships in time and finally able to return home to Heaven in the embrace of love in her final days. Simon Yam Tat Wa said, "I just found out this morning and am still very upset, because Sister Pui Wa from then to now was Hong Kong's great film producer and contributed a lot to Hong Kong film. Everyone felt that her passing was a loss of great talent!" Lawrence Cheng Tan Shui sad, "Her name was Chan Pui Wa. My first time as a director on NEVER ENDING SUMMER (NG SAM GWAI YU CHAN YUAN YUAN) was completely due to her encouragement. She became my producer, recommended investors, I was speechless with appreciation......I won't disappoint you. I will keep making my movies great." Kenneth Ma Kwok Ming said, "It's very sudden. I saw her a year ago. Sister Pui Wa was very nice! I remember when I just started after finishing the training class, Sister Pui Wa already gave us a lot of encouragement. When I heard the news today it felt very sudden and very regrettable. When an elder who helped and loved the younger generation so much passed away, I am a little saddened." Bosco Wong Chung Chak said, "Huh? It's so sudden! I really didn't know! We have contact, but not much. We haven't seen each other in a long time. Normally we would exchange greeting in text message, but she never said that she was ill. I really am in shock! When I was at TVB, Sister Pui Wa would often give my advice. She had a good relationship with my Mommy, maybe the older folks had more to talk about. Normally they would talk over the phone." Tsui Siu Ming said, "It's very regrettable. She and I began working together at Golden Harvest. She was very enthusiastic and very passionate about film. She helped many artists and directors. She was a great assistant to (Leonard) Ho Koon Cheung. When she left Hong Kong to start a restaurant business in Australia, I went to Emperor Motion Pictures to become its CEO. When I left and everything was settled, I invited Pui Wa to return to Hong Kong to help Mr. Yeung (Albert Yeung Sau Sing). Originally I wanted to visit her this morning, but I read about her passing in the group." Ron Ng Cheuk Hei who started at TVB and recently made the switch to film saw Chan Pui Wa as his benefactor. Currently working in Nanchang he was heartbroken, earlier he just promised to see her when he would return to Hong Kong. 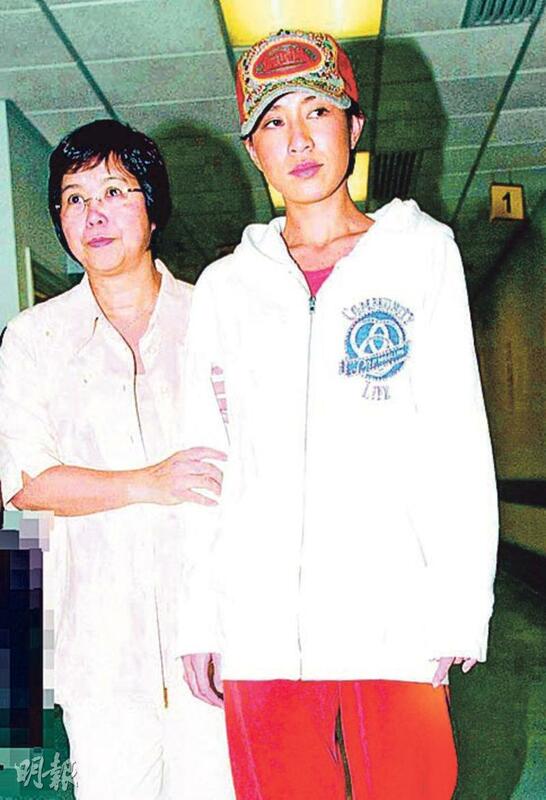 "She was always asking my manager, 'How is Cheuk Hei?' Occasionally we would meet, but she couldn't wait for me to get back!" He also said that Chan Pui Wa took great care of him and taught him a lot about life. 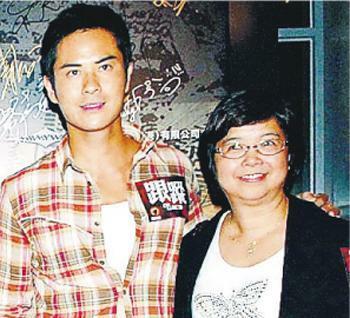 Raymond Lam Fung stated that it was as if he lost a family member. "Sister Pui Wa to me was like family. She attentively took care of each and every one of us artists not only at work, but also taught me a lot of about life. I am very heartbroken about her sudden passing." Hung Kam Bo was also saddened about Chan Pui Wa's passing. He never thought that she would pass so soon. "From my first film as a director THE IRON FISTED MONK (SAM DUK WOR SEUNG YU CHUNG MAI LOK) then every movie after, almost all of the me Pui Wa produced for me. She was always helping me!" He revealed that when he started his film company, Chan Pui Wa arranged for all the employees. "I am very heartbroken! Yet as soon as I think of Pui Wa, my memory would be her smile. I would forever miss her!"